Durable hammock can for 1-2 adults. With an integrated mosquito net, the comfortable parachute alike material will provide perfect coziness for you. Easy to fold, with a storage bag for carrying, it’s suitable for all kinds of outdoor activities including camping, hiking, outing, exploration and etc. DURABLE – Broad and steady camping hammock made of strong nylon fiber is durable enough to support 1-2 adults, bearing capacity up to 200kg / 440lb, secure and reliable. COMFORTABLE – Resilient and smooth parachute nylon hammock is comfortable and breathable to touch, creates a comfy and relaxing swing, providing maximum coziness. MOSQUITO PFOOF – High-density integrated mosquito barrier net effectively avoids bothering from mosquitoes and other bugs, guarding your restful sleep no matter in the woods, bamboo forest, beside the river bank or on the lawn. 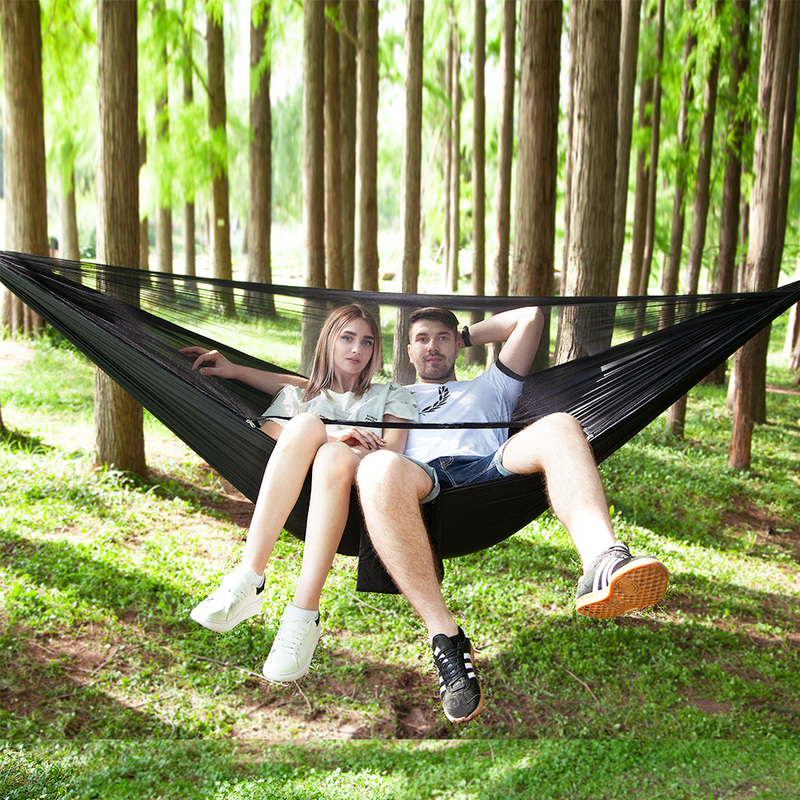 CONVENIENT – Portable outdoor hammock comes with a storage bag which is convenient for carrying. 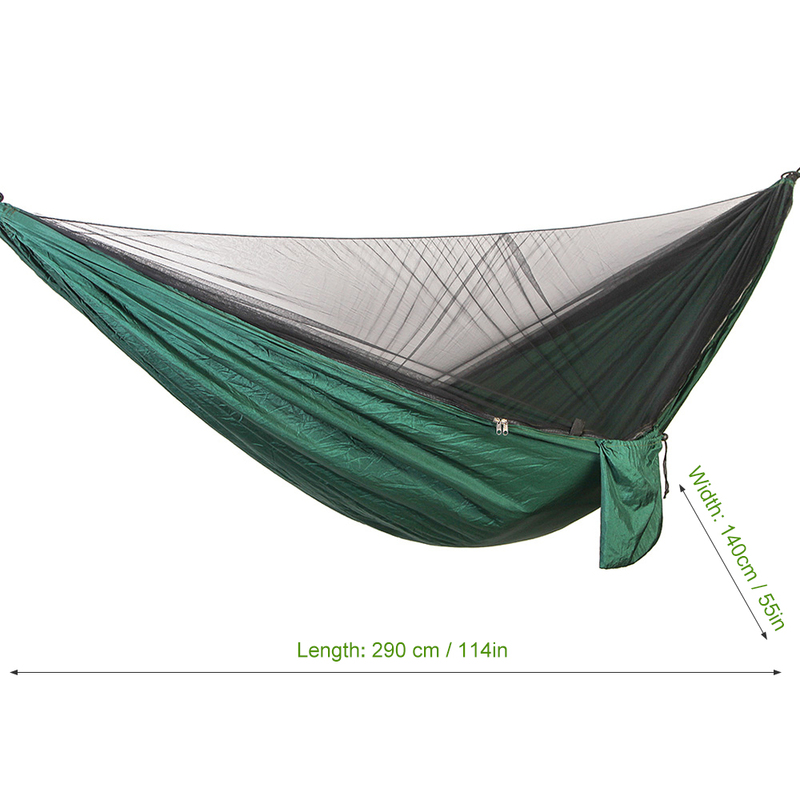 Besides, two extension ropes and clips are included, making the hammock simple and easy to assemble and keeping the hammock steadier and safer. 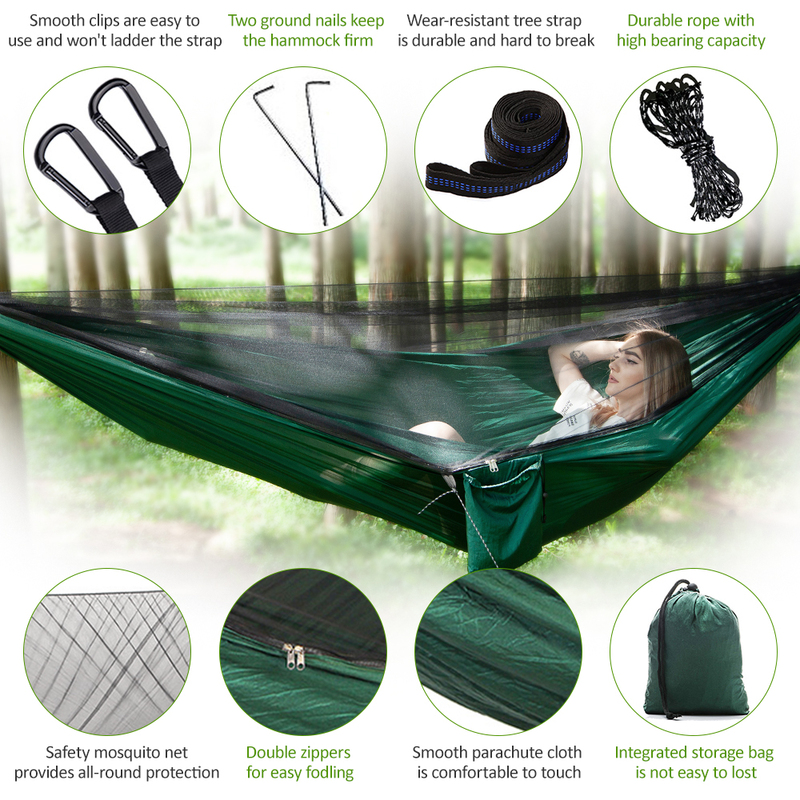 VERSSATILE – Multifunctional hammock also works as a swing, makeshift tent, camping mat, sleeping bag and so on, portable and easy to fold, perfect for camping, hiking, traveling, beach and etc.